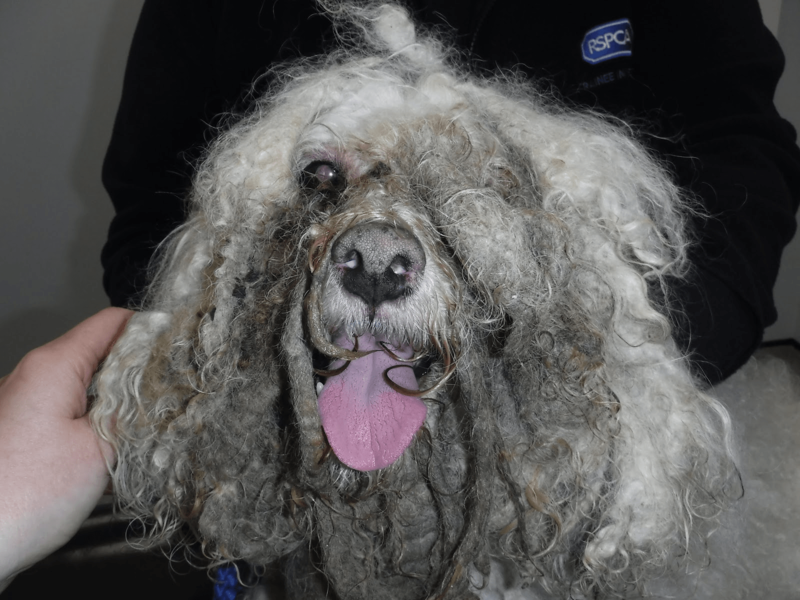 A woman from Newcastle has been disqualified from keeping dogs for 10 years after allowing her pet’s fur to become so matted it was causing him to suffer. 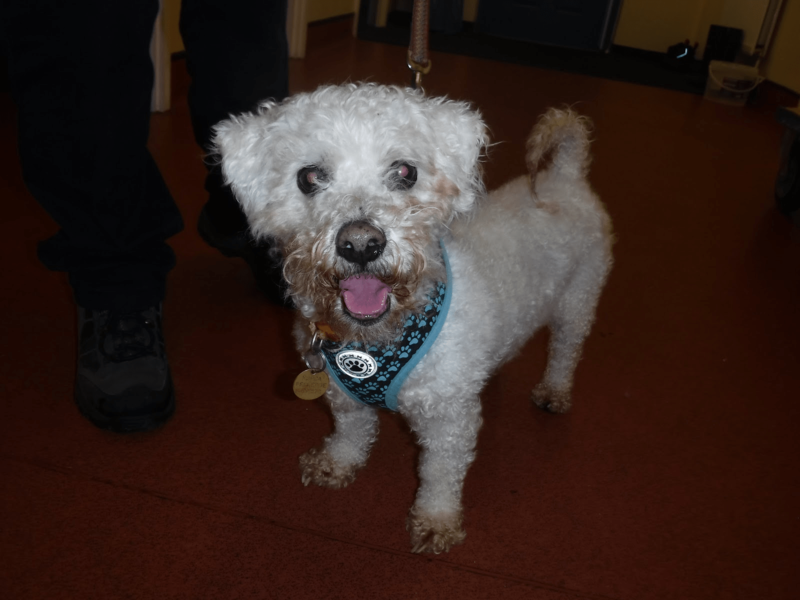 Basil, a bichon frise, had been ungroomed for so long he was struggling to walk as the matting had created ‘boots’ around his feet, and his left eye was red and sore where it had matted tight to his ear and mouth. Claire Shears (D.O.B 04.06.80) of Angus Close, Killingworth appeared before Newcastle Magistrates’ Court on Monday (13 November) where she admitted causing unnecessary suffering to Basil by failing to ensure he was properly groomed between 11 March and 11 May this year. She was also sentenced to a 12 month community order with 15 rehabilitation days and ordered to pay £200 costs and an £85 victim surcharge. RSPCA inspector Helen Bestwick said: “It took over two hours to dematt Basil. “He was in a terrible state. His eye was matted to his ear and nose and was pulling tight and he looked like he was wearing boots his feet were so matted. “Afterwards he was running around like a pup, he was obviously very happy to be free of the matting which was causing him to suffer. The RSPCA first attended Shears’ address in October 2016, visiting her home almost 20 times before getting to see Basil and removing him from the address in May this year. Very sadly Basil had to be put to sleep in July after contracting a very aggressive throat tumour which wasn’t related to the case. Are Burglars REALLY Scared of Dogs & Would YOUR Dog Actually Protect Your Home?